Modern design LED plant pot uplighters with a convenient in-line switch. Create an ideal mood for relaxing at home or to enhance your office decor. Use these lights in your living room to provide a more relaxing and intimate atmosphere, or in your office or reception room for a more welcoming ambience. 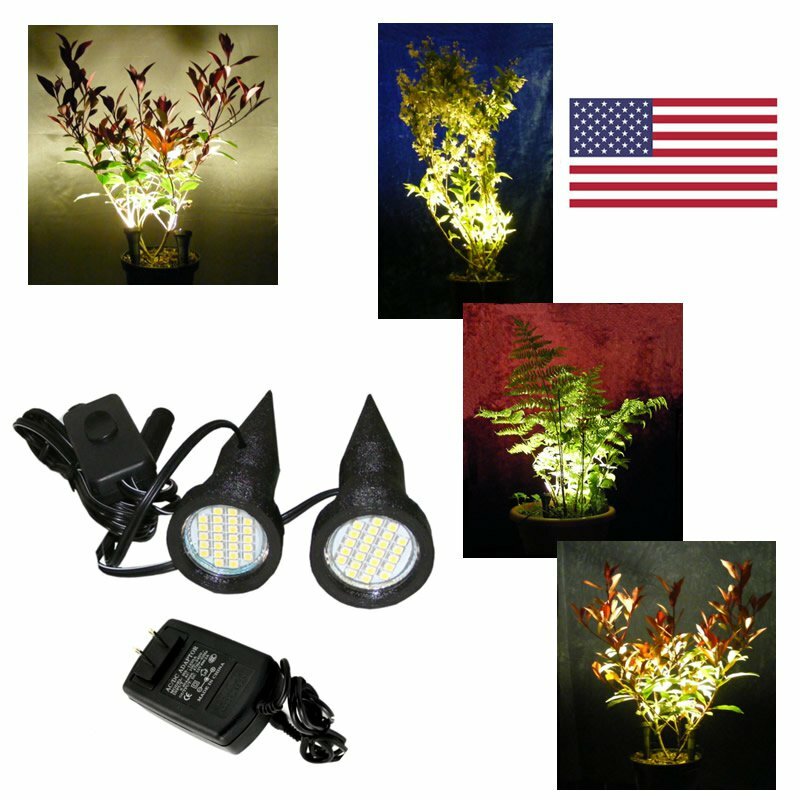 A versatile and effective product which enhances interior decor and design, these lights are low voltage and provide a safe and easy way to show off your indoor plants to their best advantage. Light is provided by 12V LED lamps and each lamp has an array of 24 LEDs providing bright, warm white illumination. The lights have approximately 1 metre of cable from the mains adapter to the inline switch and a further 1 metre of cable from the switch to each of the lights. Dimensions: Visible lens diameter 3cm, overall diameter 4cm, overall length 13.5cm approximately. Assembled to order, packed in a plain brown box, not retail boxed.